As a rhythm ambassador Arthur Hull travels the world inspiring community-building through the metaphor of music. His pioneering Rhythm Facilitation work has touched the lives of thousands of people world-wide instigating the new and growing profession of the community Drum Circle Facilitator. Arthur is known throughout the world as an inspirational presenter, a skilled group facilitator and a motivational trainer. Bringing Village Music Circles experiences to communities and organizations worldwide, Arthur has inspired a grass-roots movement of people from diverse cultures and backgrounds who have learned to use the impact of rhythm as a means to improve human interaction. With a mission to make the joy and the impact of rhythm accessible to everyone, Arthur brings his fun and inspirational rhythm experiences to communities from corporate executives to kids at risk. 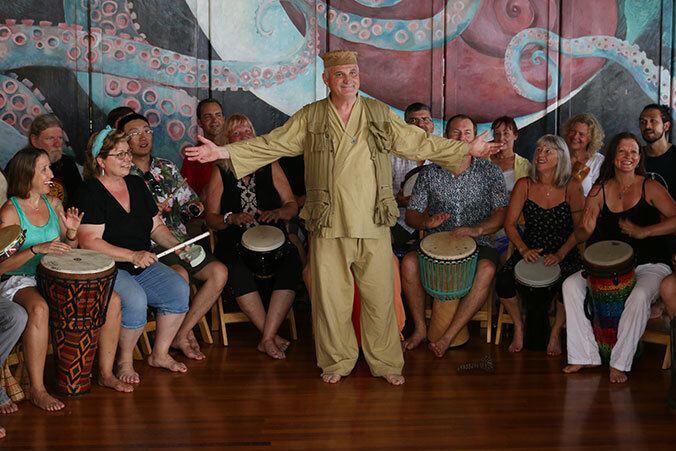 A gifted percussionist and charismatic facilitator, Arthur leads diverse groups through a joyful and inspiring experience using music and rhythm. From small groups to groups of thousands, English speaking to Mandarin, youngsters to elders, Arthur’s wit and humor motivate people beyond cultural and personal barriers inspiring full, enthusiastic participation and community-building. ™ Instructing over 7000 students at the University of California, Santa Cruz while bringing experiential team building and leadership events to organizations internationally. Organizations from Asia to Europe are tapping into the pulse of team and community-building experiences that Arthur’s motivational music making inspires. 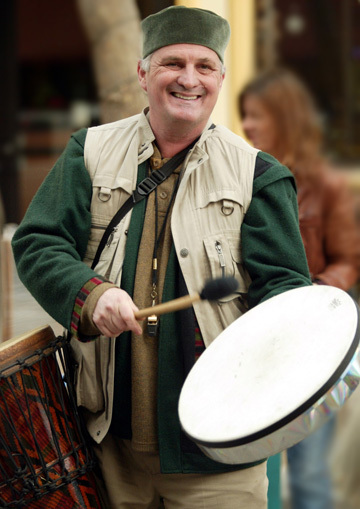 As a performing musician for over 30 years, Arthur has studied and worked with many renowned percussionists including Babatunde Olatunji, Hamza El Din, and Mickey Hart of the Grateful Dead. A Signature Series endorsee for REMO, Inc Drums, Arthur has designed many of the drums used in Village Music Circles community drumming events. Arthur also facilitates national and international REMO sponsored events.